"Sir, I have a confession to make to you. I'm an Irishman, and my name is Redmond Barry. I was abducted into the Prussian army two years ago, and now have been put into your service by my Captain Potzdorf, and his uncle, the Minister of Police, to serve as a watch upon your actions, and to give information to the same quarter." 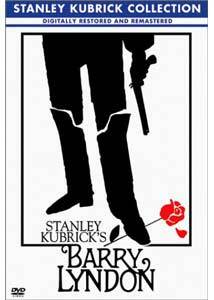 Barry Lyndon is one of Stanley Kubrick's best films, as well of one of his most misunderstood. The story of one man's journey from rural Ireland to the height of English nobility, Lyndon is an epic in every sense of the word, filled with duels, wars, deceit, treachery, and some of the most beautiful cinematography in film history. While 2001: A Space Odyssey and A Clockwork Orange garner more attention, Barry Lyndon is just as accomplished as either, and deserves a closer look. Barry Lyndon tells the tale of Redmond Barry (Ryan O'Neal), an Irish boy who falls in love with his cousin, Nora Brady (Gay Hamilton), but she plans on marrying Captain Quin (Leonard Rossiter). Barry challenges Quin to a duel and wins. Since Quin was a British officer, Barry's cousins convince him that the British will come looking for him, so he runs off. From there Barry faces challenges, experiencing vast highs and deep lows throughout his life. Some movies deal with the theme of fate, the idea that the main character is destined to do or become something more than he or she already is. Not so here. Barry gets to where he is through sheer determination and luck. There's a sense that anything could happen, and the epic running time and twisting narrative allow Barry to go through all types of fortune, good and bad. This quality gives the movie a real-life feel, despite the fact that Kubrick meticulously crafted it. Perhaps "meticulously crafted" is the wrong phrase. Maybe "forged out of raw cinematic elements" would be more appropriate in describing Kubrick's work. Barry Lyndon has some of the most delicately and beautifully shot sequences ever put on celluloid. Kubrick had new lenses created in order to shoot this, and he used only natural lighting sources (that is, all the light sources visible in the frame was all the light they used when shooting). Considering the scale of the picture, this is a tremendous achievement. The result of all this effort is that every shot resembles an 18th-century painting. One could go through and look at each individual shot, and find a carefully crafted composition. Outdoor scenes have an authenticity to them that is startling, and indoor scenes at night are so intimate that they make the audience feel they are in the room with the characters. Scorsese hit the nail on the head when he said that Kubrick took the period piece back in time with Barry Lyndon. Of course, as with any Kubrick film, Barry Lyndon received its share of criticism; the actors, especially Ryan O'Neal and Marisa Berenson, were attacked for being too wooden. In the case of O'Neal, I can't see where these criticisms even come from; he gives a delightfully subtle performance, and not for one moment did I feel he was anyone other than Redmond Barry. Marisa Berenson does somewhat earn this criticism, but this is because she's playing an English Lady in the 18th century: she's supposed to act that way. To say she is wooden means she understood the part, and is therefore a compliment. And besides, she's quite capable of emoting: in the scene where she is sitting with her baby and Lord Bullington, the look of despair on her face is enough to make the coldest person feel for her. And the scene in which Barry apologizes to her for her misdeeds, the look on her face, again, is powerful and telling and worth more than twenty pages of dialogue. There is nothing wrong with Marisa Berenson's performance, thank you very much. The biggest criticism of the film is its pacing. You'd think that after 2001, people would expect it, but some just can't get over it. Yes, the movie is slow-paced, but this is to its advantage. As with all Kubrick films, the slower pace lets the movie breathe, and in this film, in particular, allows the audience to enjoy the beauty and splendor of the cinematography. So it isn't a bad thing; it just takes some getting used to. In fact, I enjoyed the movie when I started watching it, but, with each passing scene, I enjoyed it more and more. By the end of the film, I was certain I had seen a masterpiece. Image Transfer Review: It looks good! This new transfer lets us see the movie it way it should be seen. Kubrick's color scheme is perfectly rendered, without any dust whatsoever. Now we can finally appreciate the incredible look of this film. Too bad it's not anamorphically enhanced; that's a point against it. Audio Transfer Review: Some purists are fuming over the lack of mono tracks on these Kubrick discs. Having heard most of those tracks, I have to say they're not much to shout about. These new 5.1 mixes aren't perfect, either, but at least they provide a depth of field missing from the mono soundtracks. The new mix is good, but not great. The rears are only used for music, but the upfront action does sound good, and dialogue doesn't sound dated as it does on some mixes. While not perfect, this mix makes me happier than the old ones did. Extras Review: I've already voiced my disapproval with the lack of extras on these discs. How hard would it be to round up the people who worked on this movie and interview them about it? Give us that, at least, if nothing else. An unfairly maligned masterpiece, Barry Lyndon is essential viewing not just for Kubrick fans, but for anyone who appreciates truly great cinema.